PUMA HYBRID RUNNER | BEST CASUAL RUNNING SHOE?!!! Today I am reviewing the Puma Hybrid Runner! Hello, nice review but your description said Nike Metcon 4. From your opinion, is this shoe sizing true to size? because when i try my size, I feel my foot not lock down much for running. That knit material too stretch that I think i might half size down. 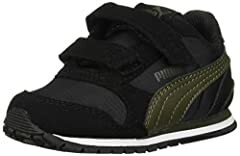 I just ordered this shoes and they’re very nice but the pack high part is high and it curves in and it digs in back of the foot and really hurts. Also your foot kinda slides to the front and digs into the toes. They’re nice looking but. Or worth the pain. PUMA RS-X vs RS-0 Comparison Review! RS-X Best Budget DAD Shoe?